Look 1 award and given to me twice this week. How fantastic - Thanx Kathy and thanx Rebekah who have both given me this award. I love it. 2. I just love Christmas and decorate the whole of the downstairs and have a tree in the living room and in the conservatory (and often have one on the front door step too). 3. I have just found out my job role disappears with the new education white paper so I may well be out of work by Easter next year. 4. I am going to New York for New Year. 5. I have invites to a wedding in Cyprus and another in Italy next year. 6. I have already booked tickets for the Isle of Wight Festival next June - yay Kings of Leon are playing. 7. I only drink coffee - I hate tea. 8. I need to lose weight. Georgie, June, June, Annette, Sarah, Edith, Susie, Sue. Hooray it's the weekend and Ella's school Christmas Fair tomorrow. Have a wonderful weekend whatever you are doing. Ooh you lucky thing with such exotic wedding invites AND with the New Year in New York thing - dress up warm it'll be FREEZING! It was minus five when I was there in early December one year. Oh' Thank you Brenda for picking me for this lovely award!!! must get my thinking hat on now! !Lol' me too love Christmas and spends ages putting the Tree & decorations up. 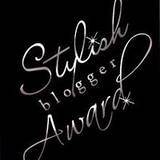 Big Hugs for the award, will pop it on my blog soon!! ohhh meant to say i enjoyed the things about you and sorry about your job my friend. its snowing outside now so guess it will be thick with snow again in the morning. Oh yes, how rude of me too - I meant to say sorry about your job too, but there's a lot to be said for not working you know - you get far m ore time to craft!!! Hi Brenda, i wont get chance to post the award til maybe tomorrow as i have family coming round this afternoon and then am going to the theatre tonight. Also I popped by to let you know that i have posted about something special for Christmas at Dezinaworld and didnt want you to miss out. please pop by and check it out when you have time. Have a lovely day at the fair and thank you once again. Congratulations to you, and thank you so much for thinking of me for an award Brenda. Sorry to hear your job is under threat, but my goodness it sounds as though you have a pretty amazing time lined up for 2011. I'm working night shifts at the moment, so will collect my award in a few days when back in the normal world.